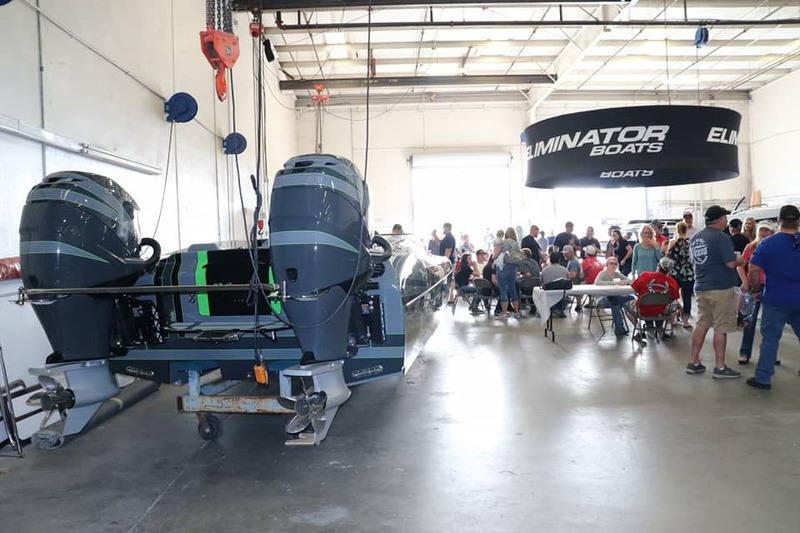 Last weekend, Eliminator Boats hosted an impressive open house at its Southern California facility. Thanks to its new ownership announcement in mid-December and an overwhelmingly positive Los Angeles Boat Show in mid-January that was followed up two weeks later by a well-attended open house/barbecue at the company’s Mira Loma, Calif., facility on January 26, Jake Fraleigh and the rest of the team at Eliminator Boats are feeling very optimistic about the custom boat company’s future. And why shouldn’t they be? Under the leadership of Fraleigh and his partners in the new ownership group, Revline, LLC, there are two all-new Speedster models in various stages of production—a 25-footer and a 30-footer—as well as a new-look 36 Speedster with a custom bustle that most definitely adds style and function to the 36-foot catamaran. Eliminator’s next-generation 36 Speedster features a new extended bustle design. According to Fraleigh, the first 36 Speedster, which is being built for Tubby McDonald, is going to be powered by twin Mercury Racing 1350/1100 dual-calibration engines. Not only does the bustle extend the sleek lines of the 36 Speedster, it also includes wide steps down to the water line in the middle. Its cool design has led to two additional sales already, Fraleigh said. After interviewing Fraleigh, it’s clear that the team is anticipating a bright future for the 30 Speedster. 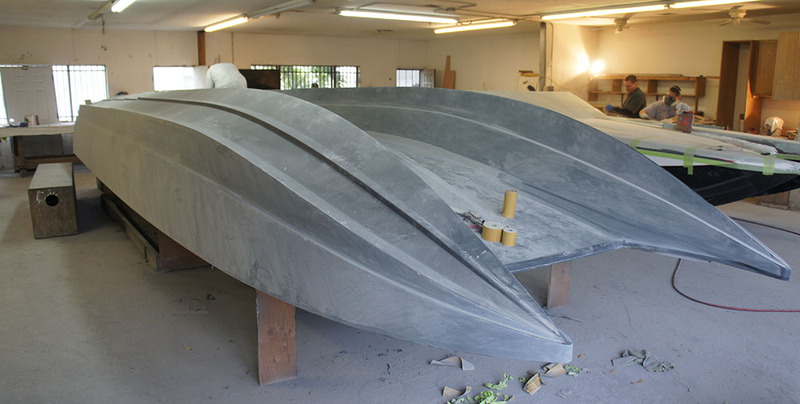 Featuring a new bottom design that is based off Eliminator’s 30-foot Daytona cat, the boat is 10 inches wider as it has a 118-inch beam rather than the previous 108-inch beam. The team at Eliminator has been hard at work on the new 30 Speedster. The first 30-footer is getting a pair of 825-hp Teague Custom Marine engines and is going to a new customer, Bob Hadd. 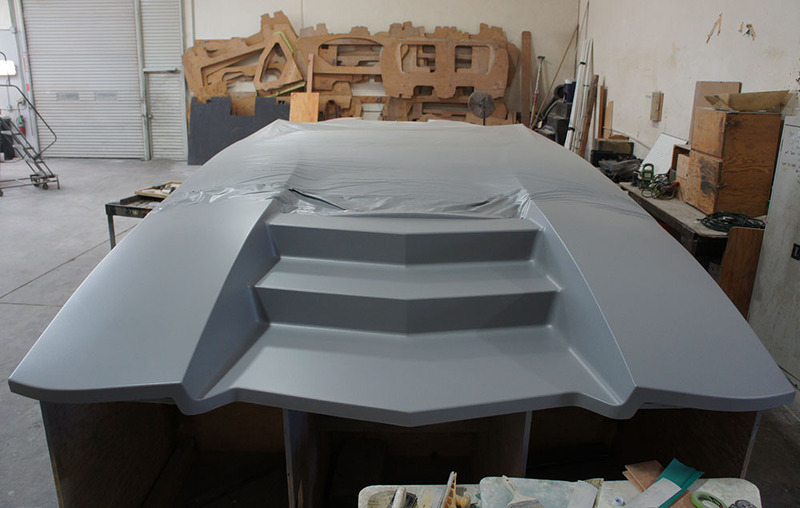 Of course the boat is going to be offered with an outboard-power configuration, which Fraleigh expects to be the more popular choice since it opens up a variety of cockpit design options. Fraleigh said the new 25 Speedster has spectacular lines that borrow some characteristics from the 27 Speedster. The 25 though has an outboard-first design that will allow Eliminator to configure the cockpit differently depending on the customer. 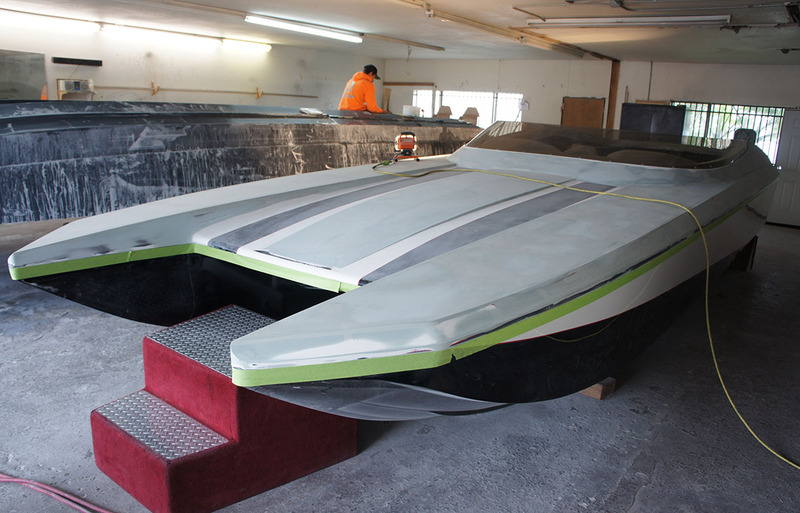 The first one, which is expected to be on the water this spring, is going to have twin Mercury 300R engines and be delivered to a customer in Ontario, Canada. Eliminator’s first 25 Speedster is getting a pair of Mercury Racing 300R engines. Last but not least, in an effort to streamline production and its model lineup, Fraleigh said the company is eliminating the Daytona line as well as the Eagle V-bottom models. Almost is the key word—or Fraleigh wouldn’t have rallied the troops to ensure the longevity of the company he’s poured so much time and energy into.